And here it is. 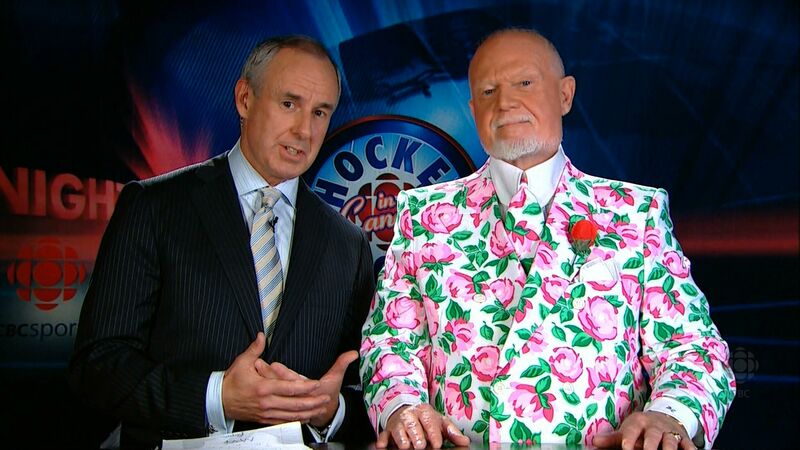 Here is how Don Cherry chooses to cap off Game 7 of the Stanley Cup finals. Don’t say I didn’t warn you. And just to round things out, here’s another screen capture that somehow (I say somehow) appeared on my computer. That’s all for this season! 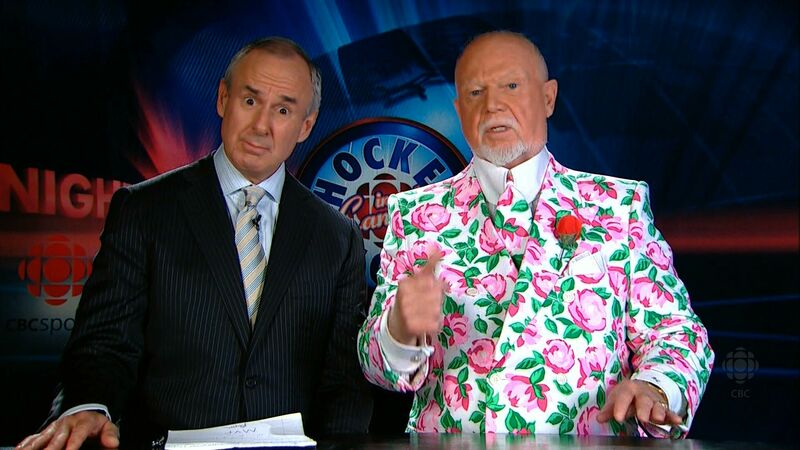 Though if you’re very good and you behave yourselves, I may have some more Don Cherry goodness for you coming up this summer…stay tuned! I swear to god, I had a sundress made out of the exact same fabric back in the 80s (where it thankfully stayed). I wonder if Mrs.Cherry knows her curtains are missing? Mrs. Cherry is the point here. He’s wearing it in memory of his first wife, Rose, who died 14 years ago. Sam, she knows, the Cherry family curtains are secured in place with padlocks and only Mrs. Cherry has the keys. It’s awful close to the wallpaper I’m removing from my bedroom (put up 40 years ago by the previous owner). Perhaps its in homage of his late wife, Rose.